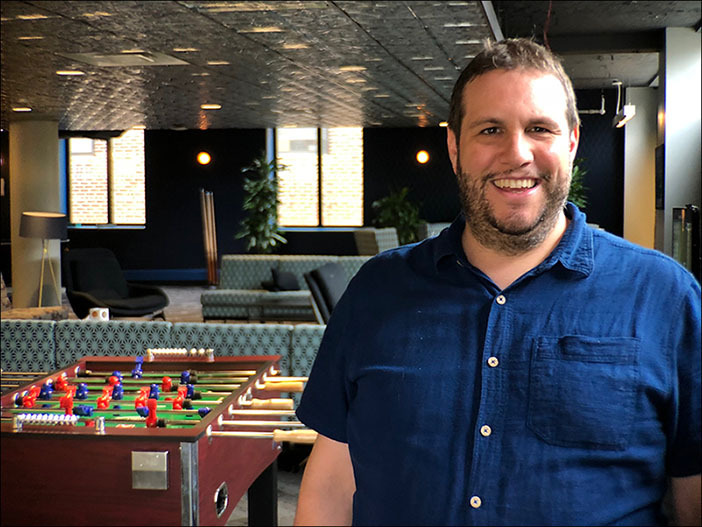 I recently sat down with Daniel Schwartz-Narbonne, a software development engineer in the Automated Reasoning Group (ARG) at AWS, to learn more about the groundbreaking work his team is doing in cloud security. The team uses automated reasoning, a technology based on mathematical logic, to prove that key components of the cloud are operating as intended. ARG recently hit a milestone by leveraging this technology to prove the memory safety of boot code components. Boot code is the foundation of the cloud. Proving the memory safety of boot code is akin to verifying that the foundation of your house is secure—it lets you build upon it without worry. Daniel shared details with the AWS Security Blog team about the project’s accomplishments and how it will help solve cloud security challenges. Tell me about yourself: what made you decide to become a software engineer with the Automated Reasoning Group? I wanted to become an engineer because I like building things and understanding how they work. I get satisfaction out of producing something tangible. I went into cloud security because I believe it’s a major area of opportunity in the computing industry right now. As the cloud continues to scale in response to customer demand, we’re going to need more and more automation around security to meet this demand. I was offered the opportunity to work with ARG after I finished up my post-doc at NYU. Byron Cook, the director of ARG, was starting up a team with the mission of using formal reasoning methods to solve real-world problems in the cloud. Joining ARG was an opportunity for me to help pioneer the use of automated reasoning for cloud security. How would you describe automated reasoning? Automated reasoning uses mathematical analysis to understand what’s happening in a complex computer system. The technique takes a system and a question you might have about the system—like “is the system memory safe?”—and reformulates the question as a set of mathematical properties. Then it uses automated reasoning tools called “constraint solvers” to analyze these properties and provide an answer. We’re using this technology to provide higher levels of cloud security assurance for AWS customers via features that protect key components of the cloud, including IAM permissions, networking controls, verification for security protocols and source code of foundational software packages in use at AWS. Links to this work can be found at the bottom of this post. What is the Boot Code Verification Project? The Boot Code Verification Project is one of several ARG projects that apply automated reasoning techniques to the foundational elements of cloud security. In this case, we’re looking at boot code. Boot code is the first code that starts when you turn on a computer. It’s the foundation for all computer code, which makes its security critical. This is joint work with my ARG colleagues Michael Tautschnig and Mark Tuttle and with infrastructure engineers. Why is boot code so difficult to secure? Ensuring boot code security by using traditional techniques, such as penetration testing and unit testing, is hard. You can only achieve visibility into code execution via debug ports, which means you have almost no ability to single-step the boot code for debugging. You often can’t instrument the boot code, either, because this can break the build process: the increased size of the instrumented code may be larger than the size of the ROM targeted by the build process. Extracting the data collected by instrumentation is also difficult because the boot code has no access to a file system to record the data, and memory available for storing the data may be limited. Our aim is to gain increased confidence in the correctness of the boot code by using automated reasoning, instead. Applying automated reasoning to boot code has challenges, however. A big one is that boot code directly interfaces with hardware. Hardware can, for example, modify the value of memory locations through the use of memory-mapped input/output (IO). We developed techniques for modeling the effect that hardware can have on executing boot code. One technique we successfully tried is using model checking to symbolically represent all the effects that hardware could have on the memory state of the boot code. This required close collaboration with our product teams to understand AWS data center hardware and then design and validate a model based on these specifications. To ensure future code revisions maintain the properties we have validated, our analysis is embedded into the continuous integration flow. In such a workflow, each change by the developers triggers automated verification. We published the full technical details, including the process by which we were able to prove the memory safety of boot code, in Model Checking Boot Code from AWS Data Centers, a peer-reviewed scientific publication at the Computer-Aided Verification Conference, the leading academic conference on automated reasoning. You mention model checking. Can you explain what that is? A software model checker is a tool that examines every path through a computer program from every possible input. There are different kinds of model checkers, but our model checker is based on a constraint solver (called a SAT solver, or a Satisfiability solver) that can test whether a given set of constraints is satisfiable. To understand how it works, first remember that each line of a computer program describes a particular change in the state of the computer (for example, turning on the device). Our model checker describes each change as an equation that shows how the computer’s state has changed. If you describe each line of code in a program this way, the result is a set of equations that describes a set of constraints upon all the ways that the program can change the state of the computer. We hand these constraints and a question (“Is there a bug?”) to a constraint solver, which then determines if the computer can ever reach a state in which the question (“Is there a bug?”) is true. What is memory safety? Why is it so crucial to prove the memory safety of boot code? A proof of memory safety gives you assurance that certain security issues cannot arise. Memory safety states that every operation in a program can only write to the variables it has access to, within the bounds of those variables. A classic example is a buffer that stores data coming in from a message on the network. If the message is larger than the buffer in which it’s stored, then you’ll overwrite the buffer, as well as whatever comes after the buffer. If trusted data stored after the buffer is overwritten, then the value of this trusted data is under the control of the adversary inducing the buffer overflow—and your system’s security is now at risk. Boot code is written in C, a language that does not have the dynamic run-time support for memory safety found in other programming languages. The Boot Code Verification Project uses automated reasoning technology to prove memory safety of the boot code for every possible input. What has the Boot Code Verification Project accomplished? We’ve achieved two major accomplishments. The first is the concrete proof we’ve delivered. We have demonstrated that for every boot configuration, device configuration, possible boot source, and second stage binary, AWS boot code is memory safe. The second accomplishment is more forward-looking. We haven’t just validated a piece of code—we’ve validated a methodology for testing security critical C code at AWS. As we describe in our paper, completing this proof required us to make significant advances in program analysis tooling, ranging from the way we handle memory-mapped IO, to a more efficient symbolic implementation of memcpy, to new tooling that can analyze the unusual linker configurations used in boot code. We made the tooling easier to use, with AWS Batch scripts that allow automatic proof re-runs, and HTML-based reports that make it easy to dive in and understand code. We expect to build on these improvements as we continue to apply automated reasoning to the AWS cloud. Is your work open source? We use the model checker CBMC (C Bounded Model Checker), which is available on GitHub under the open source Berkeley Software Distribution license. AWS is committed to the open source community, and we have a number of other projects that you can also find on GitHub. Overall, how does the Boot Code Verification Project benefit customers? Customers ask how AWS secures their data. This project is a part of the answer, providing assurance for how AWS protects low-level code in customer data centers running on AWS. Given all systems and processes run on top of this code, customers need to know measures are in place to keep it continuously safe. We also believe that technology powered by automated reasoning has wider applicability. Our team has created tools like Zelkova, which we’ve embedded in a variety of AWS services to help customers validate their security-critical code. Because the Boot Code Verification Project is based on an existing open source project, wider applications of our methodology have also been documented in a variety of scientific publications that you can find on the the AWS Provable Security page under “Insight papers.” We encourage customers to check out our resources and comment below!